Make new friends and heal away doubts and fears! Your Angels guided you here - You deserve it! Learn to tune in and connect with the angelic realm. Use your psychic ability to see, hear or feel the angels, or all three. Learn spiritual healing that allows you to work with the angels, archangels and spiritual team for healing and harmony. Scroll down to Learn more!! Interested in becoming Certified as an Angel Intuitive Practitioner to do readings, workshops or to incorporate angel healing into your healing practice? Or do you wish to improve your healing capabilities and intuition? Want to understand your sensitive nature and move forward in life with confidence? This two-day weekend certification will leave you feeling deeply connected to yourself and to the Universe at large. You will learn to trust yourself and the guidance you receive from the Angelic Realms and Spiritual family of Light. During the program, Dr. Kelli will channel healing information, activations and meditations for the collective needs of the group. This channeled information from your angels is to assist clearing old, stuck energy from your physical, mental, emotional and spiritual bodies. You will be healing on all levels, because of this, Dr. Kelli recommends staying at the hotel (if it feels right for you) to fully allow the integration. When going through healing, some individuals prefer to be away from their environments. Staying at the hotel is optional and not necessary; everyone's needs are different. You may call the hotel for special rates, if available. By Demand!! Beginner Level One! 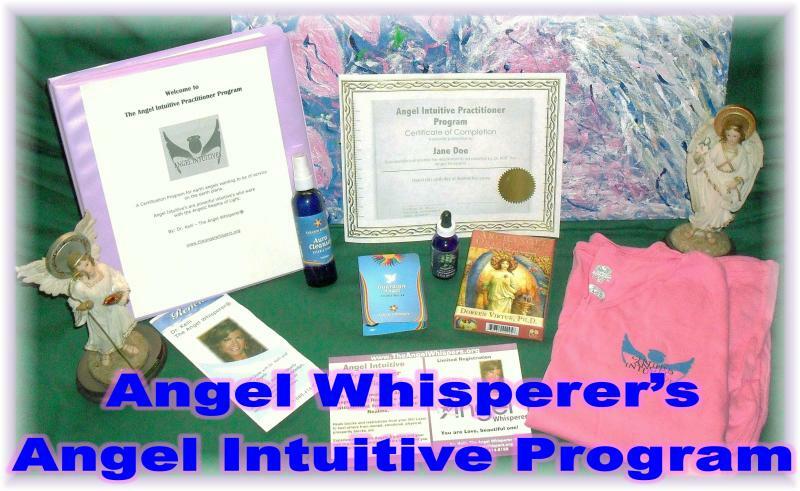 ** WOW, Level One Class includes Accredited Certification, Angel Intuitive Practitioner Course (168 pages) materials in Binder, Listing on website as a Certified Angel Intuitive Practitioner, deck of angel cards and other goodies! Lunch included both days! and to support sensitive souls. There is time to sign up, AMAZING ones! Learn to create a life that allows more light and love in! You deserve it!If not now, when? Right now, your angels are calling out to you. They want you to fulfill your dreams, exceed your fondest wishes, and live the life you have always dreamed about. The Angel Realm will channel through Dr. Kelli for the collective group needs; meaning some information may be added or deleted to meet the 'collective' group needs. Remember everything is energy; in this way you are able to see, feel, hear more than if you were taking a course online at home. This is a ripe environment for healing! "Dr. Kelli, I would like to say first that I really benefited from those 2 days. I felt soooo much love and caring that I was overwhelmed, so the angels will overwhelm you! I'm convinced now that they DO Not judge me like I thought before. I am so very grateful for the time I spent learning and feeling them. I just want more and I don't want it to stop! Thank you again for being there to assist my healing, I love you!" "The two days with Dr. Kelli and my other "Soul Sisters" were among the most amazing hours that I have spent in this lifetime. I am a changed woman. So much healing and learning occurred throughout this course on So many different levels. I cannot describe with words, although there is a deep inner knowing within me that the Angels orchestrated the entire weekend with exactly the right people, at exactly the right times, and for exactly the perfect reasons. Personally for me, my Heart was completely healed and cleared so that I may now serve the purpose that I came here to serve, and so that I may create and manifest the life and Love that we all deserve to. My healing abilities were also magnified and developed tenfold within a two day period! I grew SO much within a short period of time; I am forever grateful for Dr. Kelli's Angel Intuitive Practitioner Class, and I look forward to Level II!" "After attending the Angel Intuitives conference with Dr. Kelli, I feel a renewed sense of joy, inspiration, and purpose in my life. Dr. Kelli is truly an angel herself, guiding each member along their chosen path with wisdom, love, and the full support of the Universe. She inspires me to be a better person, and I have gained complete faith and confidence in myself and my ability to contact the angels for love, light, and healing because of her. I feel blessed to have met and worked with Dr. Kelli, who selflessly leads us all toward a higher path. I will always feel a profound sense of gratitude for the opportunity to attend this life-changing conference… It was a journey into the light that I will never forget. Thank you Dr. Kelli! God bless!" "The Certified Angel Intuitive Practitioner workshop was amazing. It was an intense two days and good for people at all spiritual levels. I enjoyed connecting with like minded people. Dr. Kelli gives you all the tools and techniques that you can start to use immediately on yourself and others. The learning and connections does not just stop at the end of the workshop, we have a community that we all share and grow to get extra guidance from Dr. Kelli. I have been using what I learned and I cannot wait for the next level two class." Gain confidence in yourself and your intuitive abilities. Learn what your reading style is. Connect and heal with the Angelic Realms. Experience Angel healing designed for people who are sensitive souls and can feel other people's energy. Practice working with Angels to perform hands-on energy healing and much more. Angel healing is a spiritual healing method that involves working with a person's angels and the archangels to heal and balance every aspect of the individual's life. When we open our heart to hear our angels' messages every aspect of our lives becomes more de-lightful. Through the guidance and energy of Angels, Guides, and the Archangels, healing vibrations are increased. This energy stream helps to release old patterns and heal emotional wounds of the past. Purity, love, and light replace these patterns and allow us to fully "live" our journey. Encourages you to get in touch with and understand your intuition, read energy and more! Each class is tailored to the collective class needs, which means you may learn more than this explained here. Receive an attunement from the Angelic Realms of light and much more. 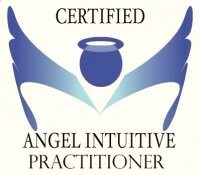 *Opportunity to be listed on the website as an Certified Angel Intuitive Practitioner and more!! This class examines and discusses the interpersonal skills and operating parameters necessary for conducting angelic guidance/healing sessions. Portions of the workshop are tailor made by the angels once the group arrives. So, some items may be added and some may not be necessary; all dependent upon the collective group needs. Special discounted rate for anyone who has already attended and wishes to repeat it. If this course is financially difficult for you, let Creator and your Angels know of your intention to be in the class and ask for the rest of the payment through prayer. Be open to receive it. Clear any belief systems you have that keep you from feeling deserving and worthy of the money and your ability to heal. If you are still hindered by emotional energetic blocks, an appointment with Dr. Kelli would be extremely beneficial. Make sure to thank Creator for the support and watch the universe rise up to support you. Act on any ideas that come to mind to create the funds needed, all the while trusting that it is happening. Learn to be an angel healer and reader! Due to the cost of the hotel conference room, all classes must meet a minimum requirement or will be rescheduled. Your class coordinator will advise you if class is rescheduled. If an event is cancelled by us, you will receive at least 24 hours notice and your payment is fully refundable. Due to Dr. Kelli's commitment of the hotel space, no deposits are refundable. Cancellation Policy -- A $100 cancellation fee applies to all certification classes. No refunds are available for cancellations less than sixty (60) days prior to the event. 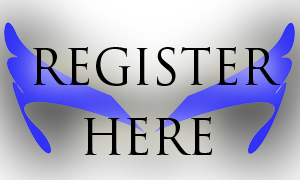 Events and Classes posted as Limited Registration means that there are only a specific number of seats available. Dr. Kelli's certification classes are in a small intimate environment to support sensitive souls. Special discounted rate for anyone who has already attended and wishes to repeat the class. Each class is different due to the collective energy of the group.